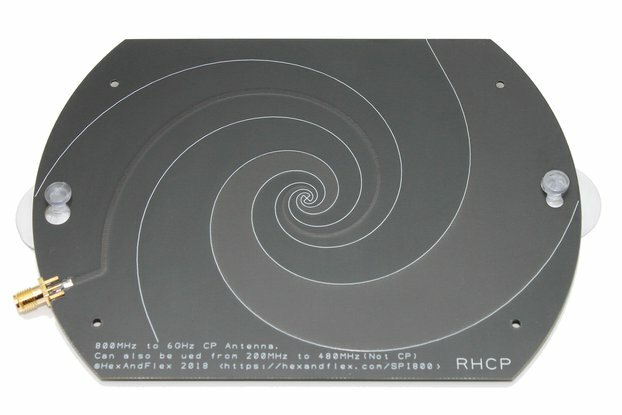 Circular Polarized Spiral Antenna with coverage from 300MHz to 3GHz+. Antenna is supplied with suction mounts for easy mounting. 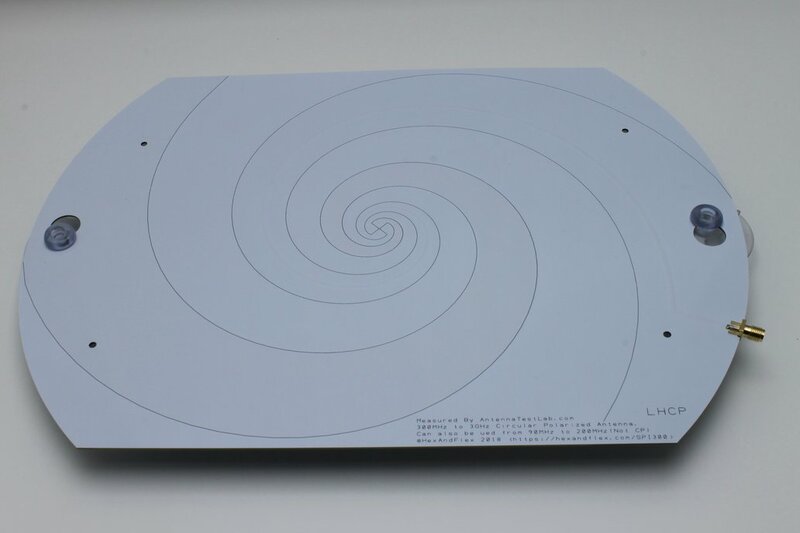 This is an Ultra-wideband Log Spiral Antenna with a main frequency range of 300MHz to ~3GHz and beyond. The antenna is low-gain(omni-directional) circularly polarised. 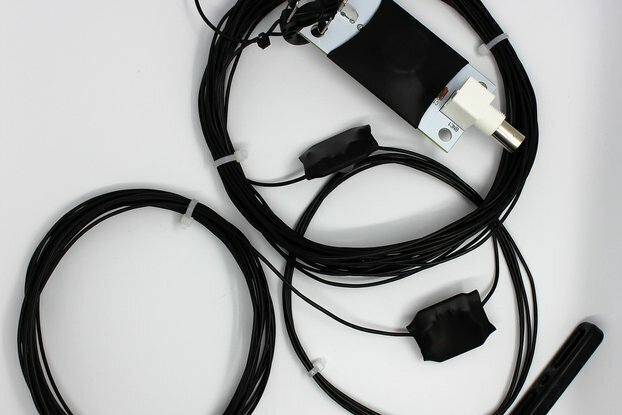 It is provided with an SMA connector and suction mounts for attachment to RF transparent surfaces such as glass. This antenna has been professionally measured by Antenna Test Lab in their 3D Anechoic Chamber. Results are shown below. Dimensions :- 321mm x 227mm (12.6" x 8.9"). The antenna provides Left-Hand Circular Polarization in one broadside direction and Right-Hand Circular Polarization in the opposite direction. Marking is provided on each side of the antenna to show the direction of polarizations radiated in that direction. The animation below shows the azimuth beam pattern over frequency. 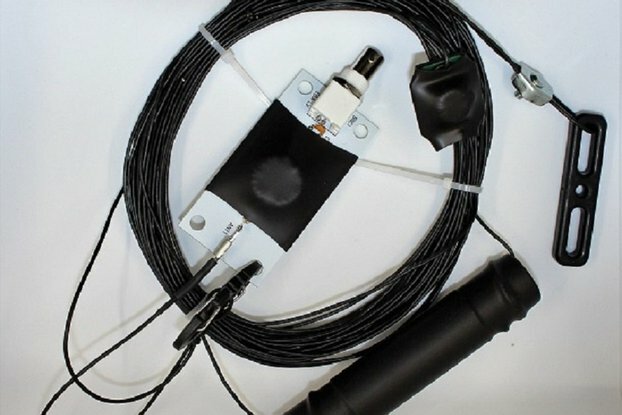 This antenna is suitable for a wide range of applications. The supplied suction mounts make it particularly useful for occasions when it is not possible to erect a large outdoor antenna, or where an ad-hoc needs to be setup quickly. The antenna was designed and simulated in OpenEMS. This is an open source FDTD EM simulator. More info on how it was designed can be found on my blog. The antenna was properly packed and protected and turned out to be the perfect match for my needs. Where I live (Paris) the signal quality isn't that good. The use of GPS for hobby projects as an alternative to synching via NTP had me leaving the ceramic antenna on the balcony, but the cable would suffer every time I'd open/close the window. My GPS found a fix in less than two minutes, which is slightly faster than with the ceramic antenna, so I'm more than satisfied about this product : I'm enthousiastic ! 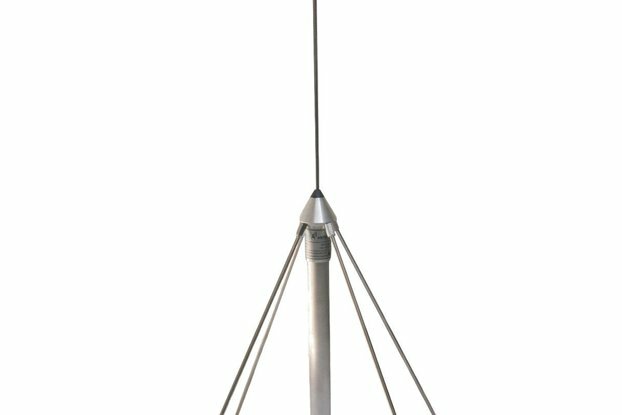 All in all, this antenna is a perfect replacement for any indoor use.